For a while now, Trello has been my project management tool of choice. For those who haven’t used it, Trello lets you break down tasks and projects into manageable deliverables, which are then organized and prioritized on a Kanban Board. Launched in 2011 by Fog Creek Software, it has grown at an impressive rate, and at the end of 2015 it hit its 10 million user milestone. Earlier this month, the Australian tech giant Atlassian acquired Trello in a deal valued at $425 million. While Trello is a very simple application, it’s also hugely popular. By acquiring it, Atlassian is able to funnel this userbase to its other products, like Jira, HipChat, and Confluence. But many are worried that what made Trello so great – namely the fact that it’s tool- and domain-agnostic – will become diluted, and as a result are looking to other products to replace it. Myself included. Well folks, might I suggest Zenkit? 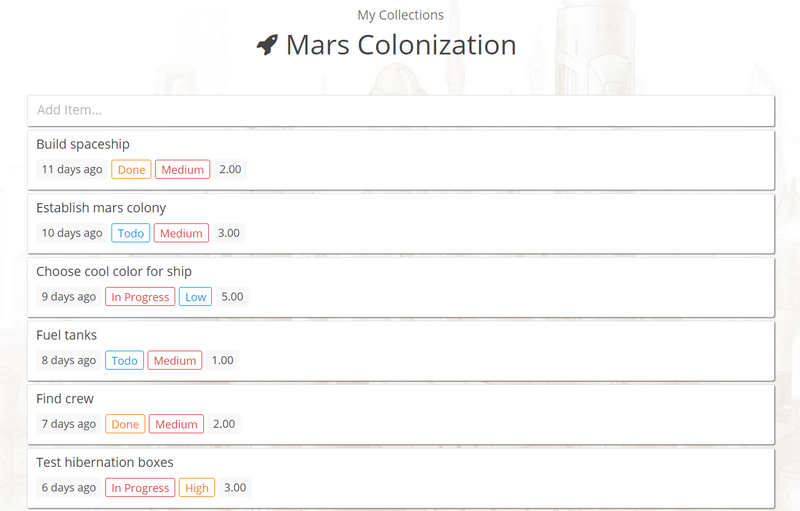 I’ve been playing around with it for a few weeks now, using it as a tool to plan features, reviews, and embargoes. I daresay it’s pretty awesome. Rather than ramble on endlessly, I want to point out what I love most about Zenkit: the fact that you can visualize your tasks in a variety of helpful ways. So, let’s look at the demonstration collection (as you’ve probably guessed, ‘collection’ is what Zenkit calls ‘boards’). This defaults to a pretty standard Kanban view. In each of the tables, there are items. Each of these can be prioritized and edited. You can note how long you’d expect it to take, add remarks, and even include additional data, like files, checkboxes, and even mathematical formula. So far, this should feel deeply familiar to anyone who has used Trello. But what if you don’t want to use the Kanban view? Perhaps you might feel that your tasks would be best visualized as a list of items in a list? Or maybe as dates on a calendar, or a entities on a table. With Zenkit, switching between these perspectives is just a matter of a click. Zenkit is also working on a mind-map view, which is currently in a private beta, and due to come in a future update of the web app. This is really helpful for planning the ‘flow’ of a project, but I imagine it’d be even better for planning learning outcomes and pathways. So, yes. I’m a big fan of Zenkit. I love the flexibility that it gives me with respect to how I can view my data. There’s other stuff I just didn’t touch on, like the fact that it’s really easy to drill-down on your data, and you can tie it into other services via Zapier. For former Trello fans, I can think of no better alternative. Oh, and one more thing: Zenkit is made by a small, independent startup in Karlsruhe, Germany. So, you’re not going to get pushed into using any other services you don’t want to.